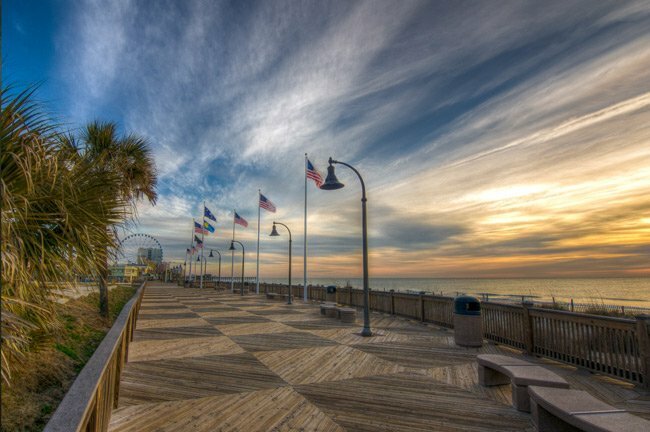 This 1.2-mile-long boardwalk runs parallel to the Atlantic ocean in the heart of Myrtle Beach. Visitors to the popular attraction can walk from the 2nd Avenue Pier to the 14th Avenue North Pier, popping in and out of numerous beach-themed businesses along the way. The $6.5 million boardwalk, which opened in May 2010, took nine months to complete and is expected to be an enormous economic boon to the city. Discussions for such a boardwalk began as early as 1999 as part of the Pavilion Area Master Plan, yet plans did not progress beyond the idea stage at that time. When the Myrtle Beach Pavilion Amusement Park was torn down in 2006, area merchants expressed desire for the city to build another attraction quickly to fill its void. The cost originally was expected to surpass $10 million, yet the price was actually much lower by the time the city broke ground in 2009. 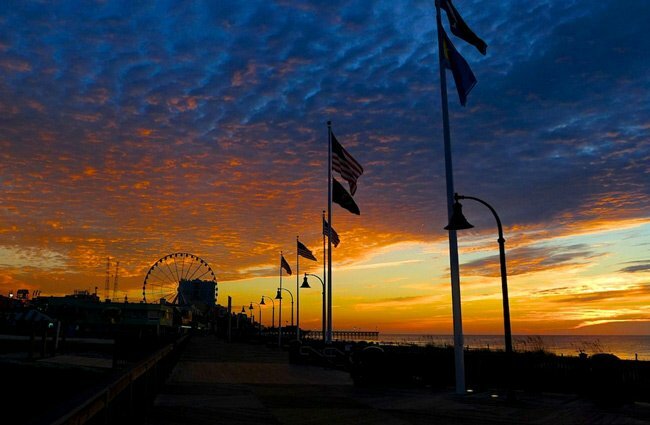 A tourism tax helped offset the cost, and less-expensive labor was available to build the boardwalk during the economic downturn of that year. Plans for expanding the boardwalk are currently in discussion. The festive promenade includes stores and restaurants and hosts events such as Ocean Boulevard’s Hot Summer Nights Live Concert Series. 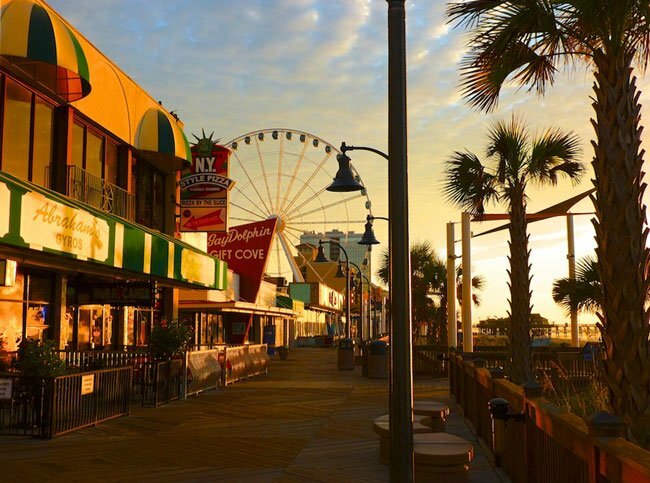 It’s hard to beat the seaside view and carefree atmosphere of the Myrtle Beach Boardwalk when looking for a place to while-away your time at the Grand Strand’s most celebrated beach.